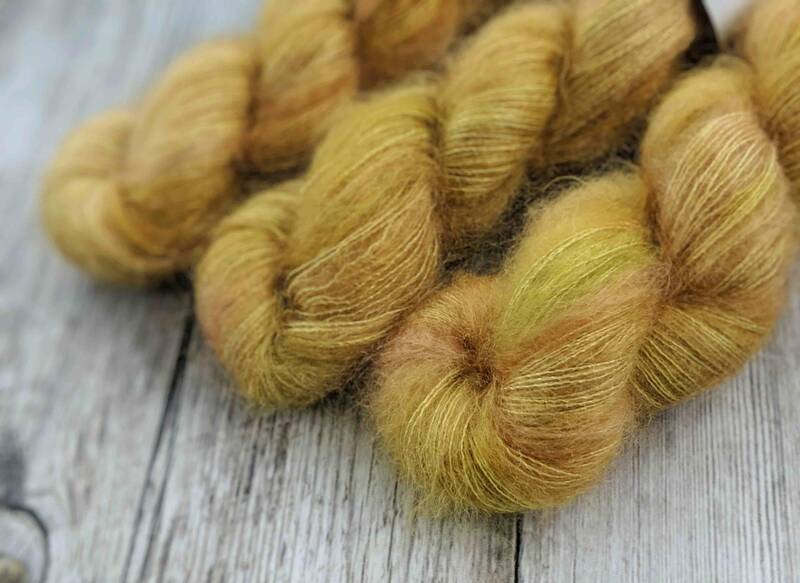 MUST HAVE MOHAIR - This is a single ply, lace weight yarn that is made from 72% Kid Mohair 28% Silk. Without a doubt, this yarn will add an extraordinary softness to any project. This yarn is wonderful for holding double with other yarns to create a luxurious halo on your finished project. 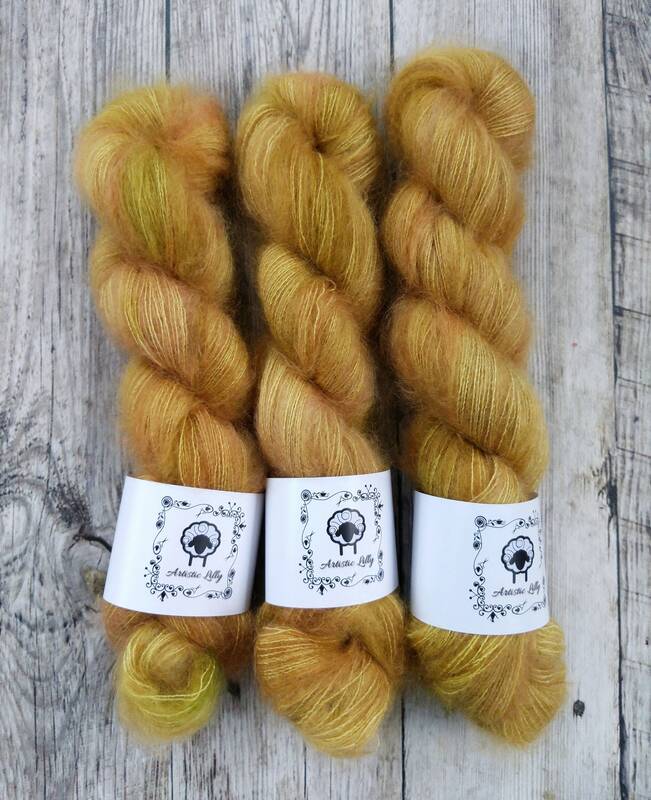 Note: Each skein is a hand-created, original work of art and no two skeins will be identical. I try to accurately represent my yarn colors when photographing, but actual shades may vary due to differences in monitor settings. The price shown is for 1 skein. *Please note that any white in a skein is not a pure white, it is the natural color of the skein. Do your yarns arrive in skeins/hanks or pre-wound into balls? All of my yarns are shipped in skeins/hanks. I dye them in this form, dry them, twist and label them and finally ship them off to you. It is best to keep the yarn in hanks/skeins until you are ready to use them. This allows the fibers to stay relaxed. How do I care for your yarn? Hand-washing in cold water is recommended to maintain the life of the item made with my yarns. Superwash wool products can be machine-washed, but I still recommend hand washing to keep the item looking it's best. If in doubt, hand-wash in cold water and lay flat to dry! Will there be bleeding with your yarns? Most of them will not. I do my best to minimize as much bleeding as possible. If you do encounter a skein that is seeping color, fill a bowl with water. Add a glug of vinegar or a tablespoon or so of citric acid. Place your yarn or FO in the bowl. Heat in the microwave for 3-5 minute intervals until very warm. This will allow excess dye to be soaked up. Allow the bowl to completely cool before rinsing with a wool wash or dishwashing liquid. If dye is coming out but the color of the yarn is staying the same then it's set, it's just releasing loose particles. Color bleeding is not a fault. Bleeding is normal with acid dyes. Bleeding with actual colorfading is something to be concerned with. Please contact me if you have any concerns.